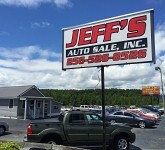 Welcome to Jeff's Auto Sale, Inc.'s Website ,We at Jeff's Auto Sale would like to help you in having the best car buying experience possible. We are delighted to help you in finding the vehicle of your choice while providing great customer service. We are a family owned and operated business serving the Leesburg, Al. area for over 20 years. 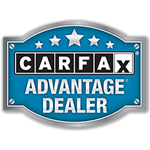 Great Prices, Great Vehicles, and a Great Selection are what we always strive to offer. Feel free to give us a call or stop in today for your test drive!